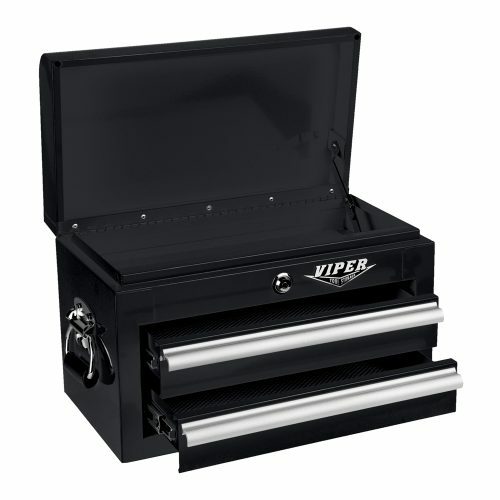 The Viper Tool Storage Premium Series 41-Inch 9-Drawer Rolling Cabinet’s functionality speaks for itself. 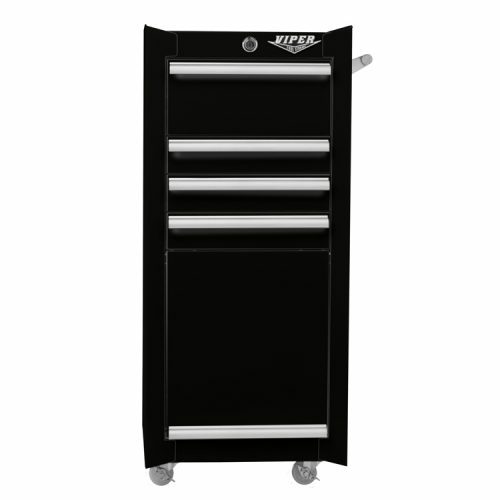 From demanding professional environments to home workshops, this rolling cabinet provides plenty of room to organize tools of different sizes and trades. Each drawer is equipped with 100 pound load rated slides, with double slides in the top drawer and 2 bottom drawers, increasing their capacity to up to 200 pounds each. Ball bearings provide an effortless glide and the lever release feature allows for easy drawer removal. A locking latch and hold-in detents help prevent accidental opening. Full length aluminum pulls have a generous grip, and pre-cut, non-adhesive, woven non-slip liners protect and cushion your items. Sturdy 18 gauge steel is powder coated inside and out to resist abrasions and wear, keeping the color vibrant for years to come. A locking bar secures the slides internally with a 7-pin cylinder keyed barrel lock, making it difficult to pry, pick, or duplicate keys. One side-mounted tubular handle and four rugged, chemical resistant 5 x 2-inch polyurethane casters (2 swivel with toe locks, 2 rigid) help protect the floor from marks and make this cabinet easy to move around your workspace. Backed by the manufacturer with a lifetime warranty against defects. 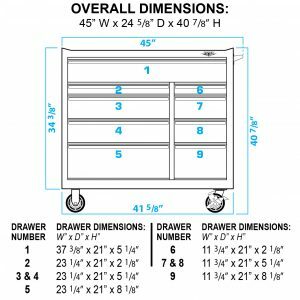 Each drawer is equipped with smooth gliding ball bearing slides that support up to 100 lbs, with double slides in 3 of the drawers increasing their capacity to up to 200 lbs, a latch system to prevent accidental opening, full length aluminum pulls, and matching non-slip liners.